[caption id="attachment_16418" align="alignnone" width="1200"] Mobile Apocalypse: We Are Ready! -Part 3[/caption] The time has come. It’s April 21st, and yes that’s right: Its D-Day! Your clients’ websites must be Mobile Optimized TODAY or they will lose their ranking in all mobile searches done in Google. That means at least 50% of traffic, prospects and business...GONE! THE GOOD NEWS IS: We have all of the tools that you need to rescue your client’s websites, and have prepared the ‘Mobile Apocalypse Toolkit’ for you in Part 2 of this series; Mobile Apocalypse SURVIVAL: Get Ready! In the previous section, we gave you all the necessary skills, strategy and software; not only to survive but to prosper through the Mobile Apocalypse. You will learn that the Google algorithm change is the ultimate opportunity to grow and multiply your mobile website business! If you missed it, click here. THIS IS WHAT WE KNOW: Previously “mobile-friendliness” was seen more of a usability issue, Google never clearly stated that mobile-friendliness would become a ranking factor, until that fateful day: February 26th, 2015. Google made the huge announcement on their Webmaster Central Blog stating: “Starting April 21 2015, we will be expanding our use of mobile-friendliness as a ranking signal. This change will affect mobile searches in all languages worldwide and will have a significant impact in our search results. Consequently, users will find it easier to get relevant, high quality search results that are optimized for their devices.” So there you go, Google has set the date for a major algorithm change and is determined to display the search results of websites that are mobile optimized over websites that aren't; this is in order to give their users a fluid and effortless experience. That was the beginning of the ‘Mobile Apocalypse’; for more information see Part 1, Mobile Apocalypse: Are You Ready? HERE’S THE SCOOP: The Google mobile search change is officially being called the “Google Mice Update” which stands for “Mobile Cue”. This, in effect, is the Mobile-friendly label that Google has implemented on all mobile search results. Now this is the “cue” for users to click for a more enjoyable mobile browsing experience. Just like real “mice” that can squeeze into small, little spaces, the Google Mice want to squeeze all websites onto small mobile device screens. This update will effectively remove all websites that are not mobile-optimized from top mobile search results from any smartphone, anywhere in the world. This is a big deal. So big that when I recently did a search on my smartphone using a company’s name; the Google search retrieved other similar businesses that had “mobile-friendly” websites instead of the specific company that I was searching for! 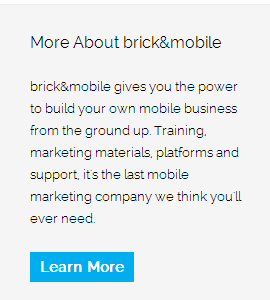 This is because the company in question, did not have a mobile-optimized website. Google is not joking around with the “Mice Update”. The new “Mobile-friendly” label next to all websites that have received their ‘seal of approval’ is the only way to go! THE BAD NEWS IS: If your client’s websites are not “Mobile -friendly” after April 21st D-Day, they will have severe repercussions. The reality is that the website will most likely disappear from the radar, even when searching for the specific company name, if not optimized for mobile. With the explosion of mobile internet usage; no one in business today can afford to ignore mobile users and the daily traffic that can result in mobile searches. We've been saying it for years; mobile is not an option anymore, it’s a must have for every local business around the world. Remember that as of TODAY the websites that don’t show up on the new Google mobile search will experience serious traffic loses. Serious traffic losses will mean diminished lead capturing, nurturing and sales conversions. WHAT IT MEANS: Your clients lose money. You lose money. Not good. With mobile search surpassing traditional desktop search in 2015, the majority of traffic to all websites will come from smartphones and tablets. You and your clients can not afford to ignore the Google Mice update. DON’T WAIT TO START: Watch the Webinar replay on this page! The Mobile Apocalypse webinar will give you all of the information you need to not just survive this change but use it to thrive and grow your mobile website business to heights never before imagined. YOU SAVED THE DAY. This is your chance to help local businesses save their websites and their businesses from disappearing into obscurity because of the Google Mice Update. You can make it BIG in the local mobile website market, don’t miss this opportunity. Check out the replay today!